Desiccant Testing Kit - DGS Group Plc. 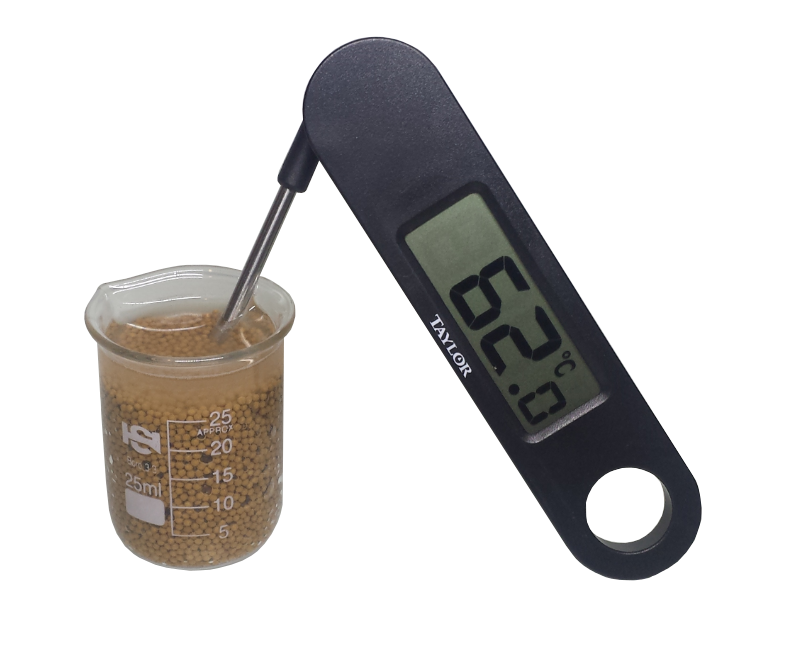 Desiccant Testing Kit, a quality testing kit which includes digital thermometer, glass beaker and scales. 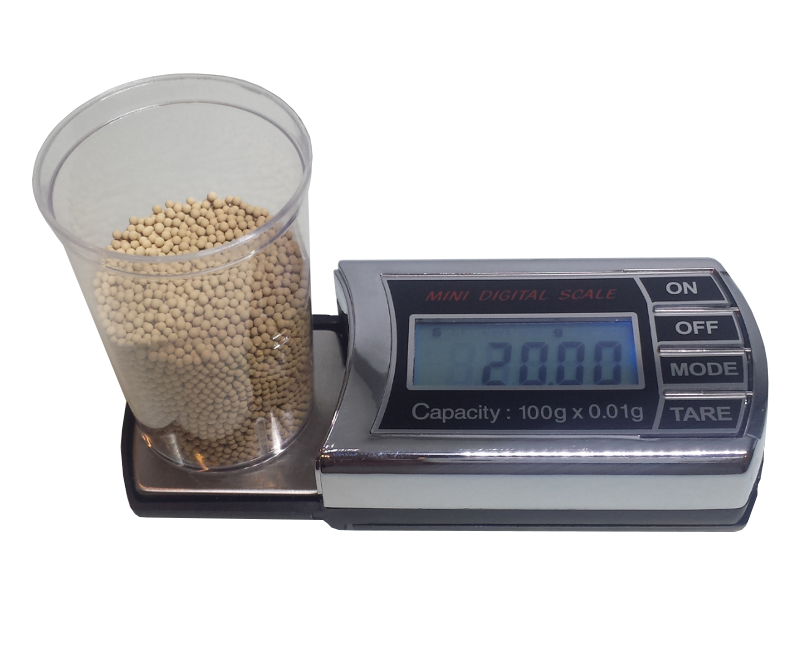 To view our Superior Grade Desiccant click here. The test kit must be completely dry before each test. The dry absorbent must be stored in a tightly closed container, and should not be allowed to come into contact with air more than is absolutely necessary. • Fill up the beaker with20ml (±1ml) of water. • Turn on the thermometer and set it to ˚C unit of measurement. • Unfold it in a reversed V shape. 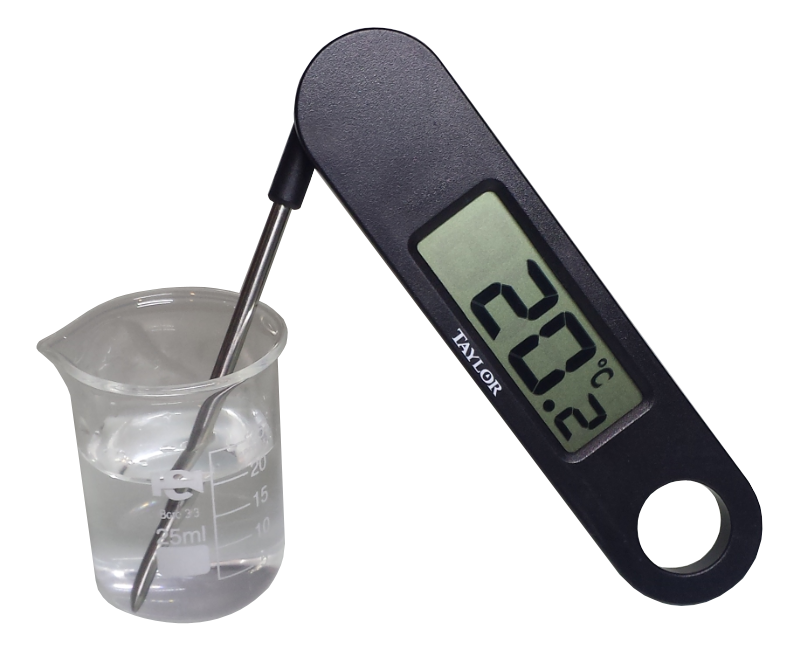 Immerge the metal stick into the 20ml of water and rest the thermometer into the beaker. • Write down the temperature displayed on the thermometer as T0, which should be 20˚C (±1˚C ). • Install the two AAA batteries into the digital scale. Slide the protective cap off the digital scale and place it flat on the table. • Turn on the digital scale and place the measuring cup on the scale platform. Press TARE in order to level the weight to “0”. • Pour 20g (±1g) of desiccant into the measuring cup. • Pour the 20g of desiccant into the 20ml of water and stir it with the thermometer stick for about 5 to 10 seconds in order to fully activate the desiccant. • Watch the thermometer raise until it reaches its highest value. Record the highest calue as T1. • The Delta-T value Δ T is therefore the result from the equation T1-T0= Δ T.
• We recommend a Δ T of ≥25˚C.